Flooding is one of this century’s biggest environmental challenges, and tackling it here in Scotland is a top priority for SEPA. 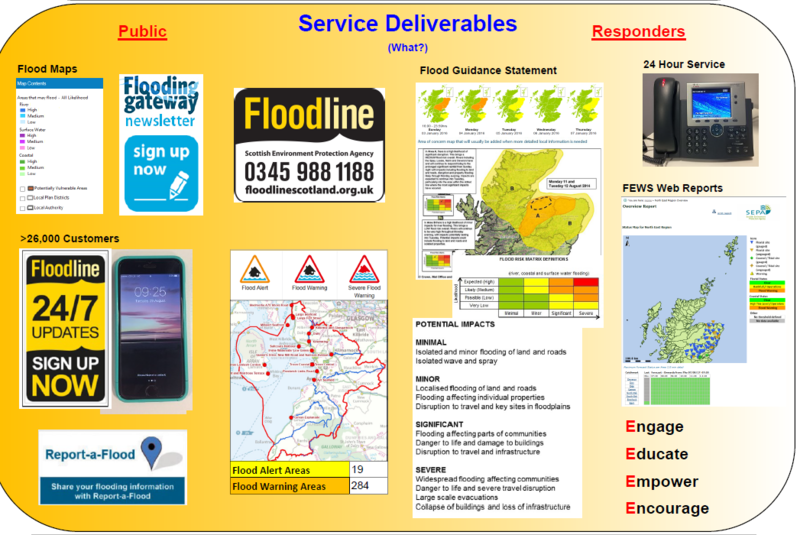 As Scotland’s national flood forecasting, flood warning and strategic flood risk management authority SEPA leads the way in flood risk management in Scotland. SEPA has a statutory responsibility for flood warning and provides a national flood warning service using the Flood Warning Dissemination system and we are looking to recruit an Administrator to manage this system as part of the Flood Forecasting and Warning team. The aim of this role is to ensure our flood warning dissemination system works when we need to communicate that flooding is forecast. You will ensure the system is properly maintained, configured with the right information and has the functionality to ensure our critical messages get to the right people in time. You’ll act as the interface between the users and suppliers, using our fault resolution and change management processes, as well as taking responsibility for the delivery of improvements and undertaking system testing. You will develop guidance and deliver training so that the key SEPA staff members who use the system are trained and able to get their messages out when they need to. You’ll need to be computer literate, experience of working in an IT environment or with marketing systems would be an advantage, but more importantly you will have a can-do attitude and be able to maintain a positive working relationship with the system supplier. If you think that is you, we’d love to receive your application!